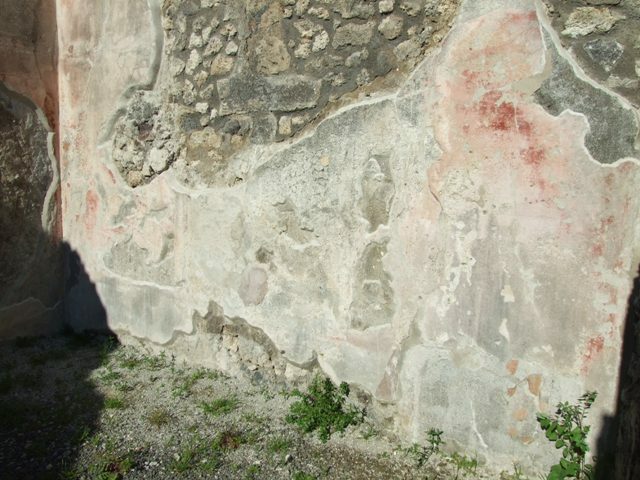 IX.3.2 Pompeii. 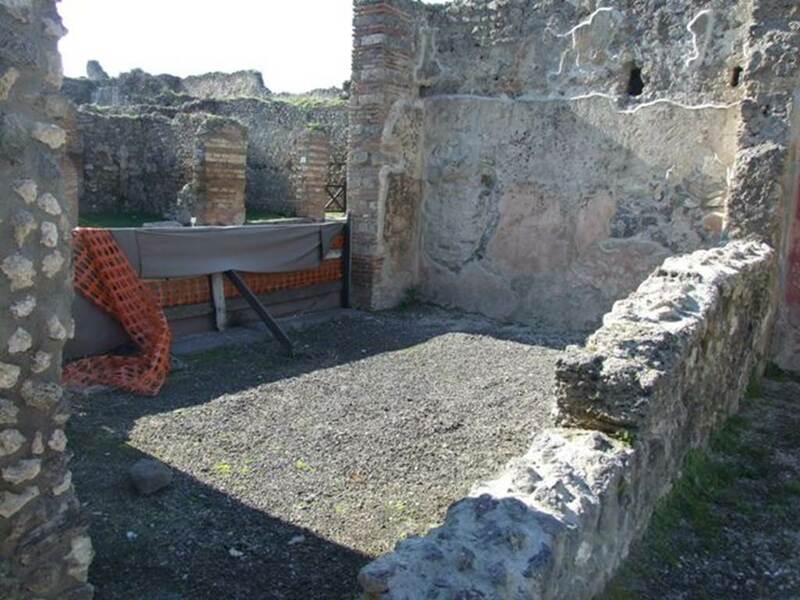 Officina offectoria di Ubonius. Officina tintoria di Ubonius. Dye shop of Ubonius. Excavated 1847, 1851 and 1868. (Strada Stabiana 25). IX.3.2 Pompeii. May 2005. Entrance. may have indicated that the Dyers of the two establishments opposite each other, IX.3.2 and VII.2.11, had united in supporting the candidacy of Proculus. 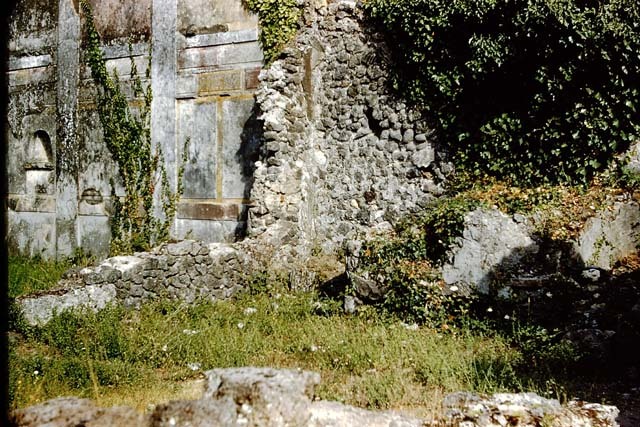 IX.3.2 Pompeii. May 2005. Looking east across the dye shop. 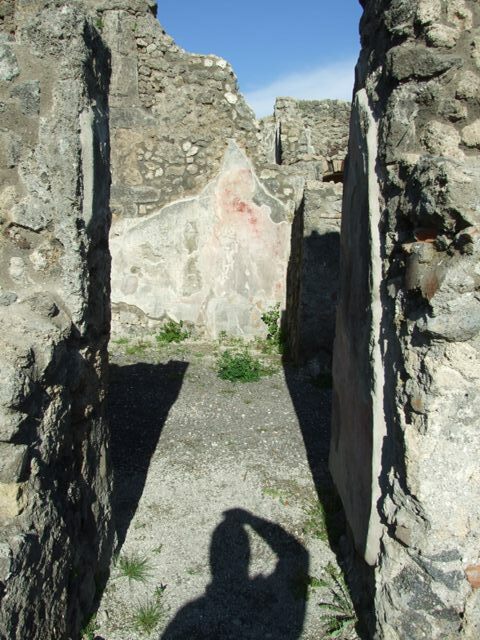 IX.3.2 Pompeii. May 2006. 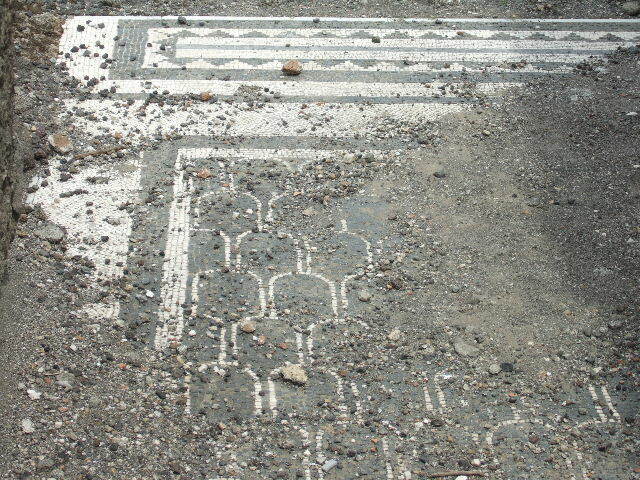 Entrance mosaic. 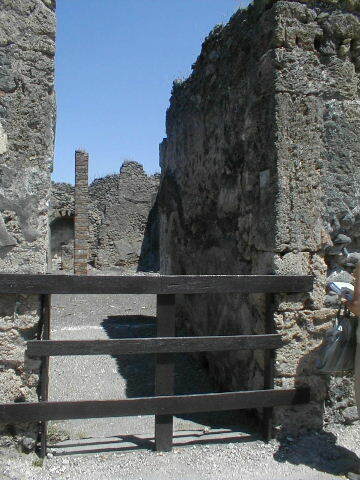 IX.3.2 Pompeii. March 2009. 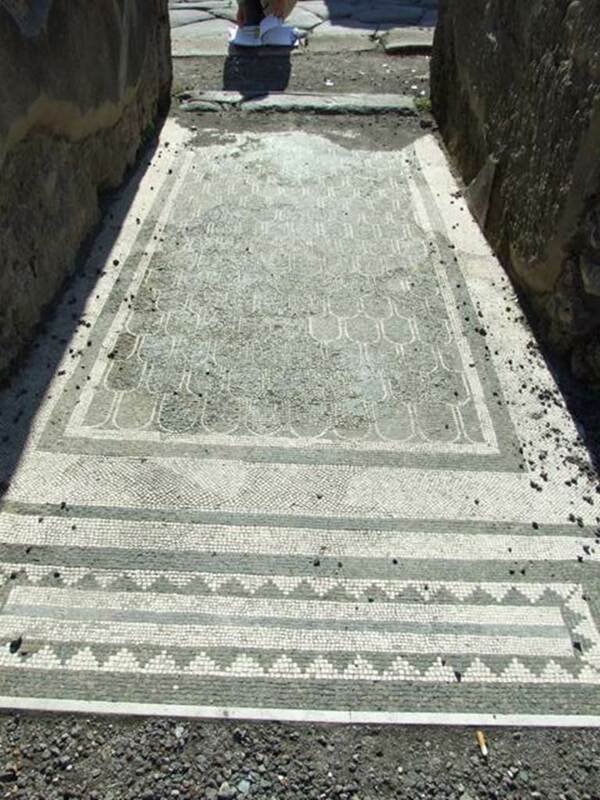 Mosaic in entrance vestibule. Looking east. 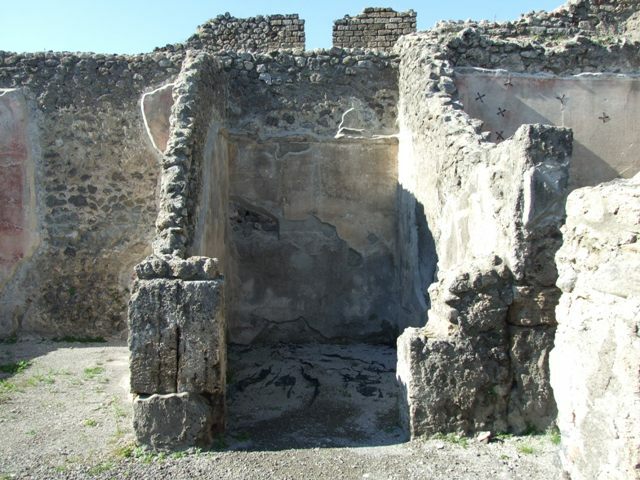 IX.3.2 Pompeii. March 2009. 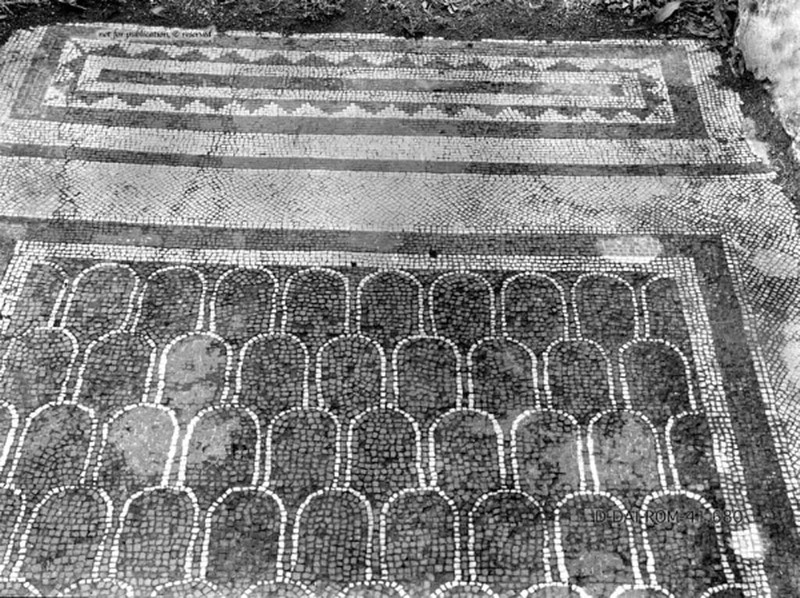 Mosaic in entrance vestibule. Looking west. 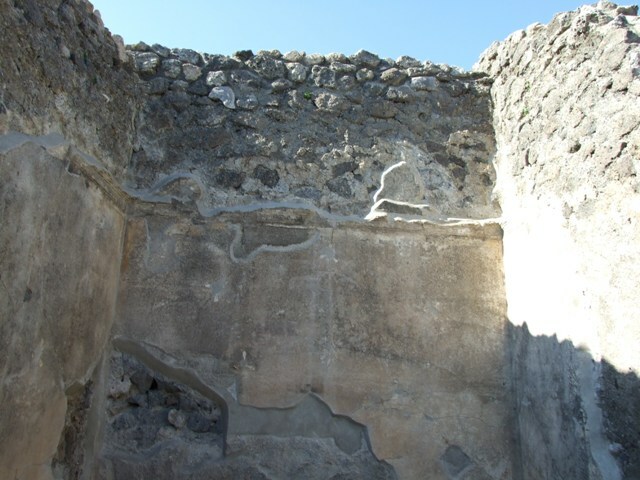 IX.3.2 Pompeii. March 2009. Door from vestibule to shop at IX.3.1. 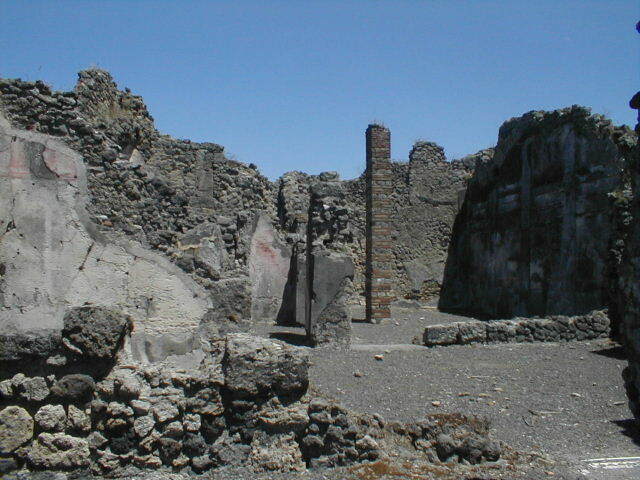 IX.3.2 Pompeii. March 2009. Exedra on north side of former atrium. 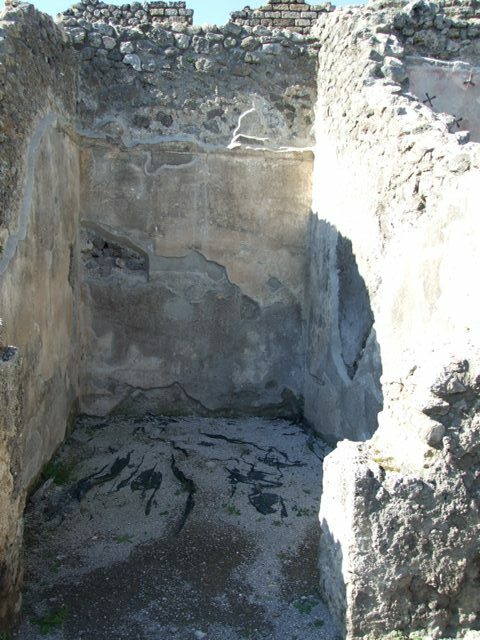 IX.3.2 Pompeii. March 2009. Cubiculum on north side of former atrium. 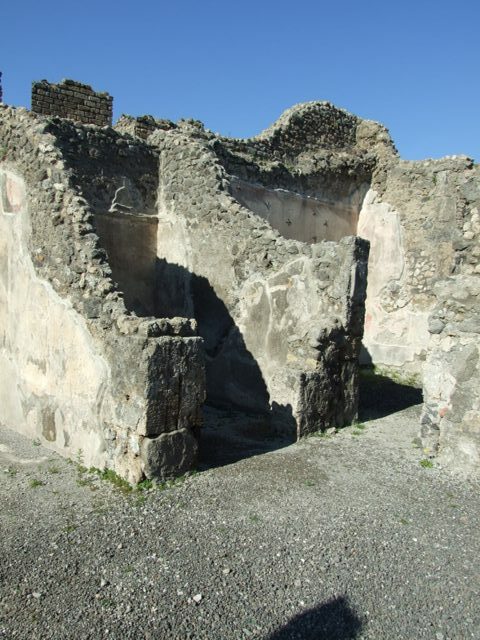 IX.3.2 Pompeii. March 2009. Cubiculum on north side of former atrium. Plaster cornice on north wall. IX.3.2 Pompeii. March 2009. Room on north side of garden area. Looking east through small door from atrium. 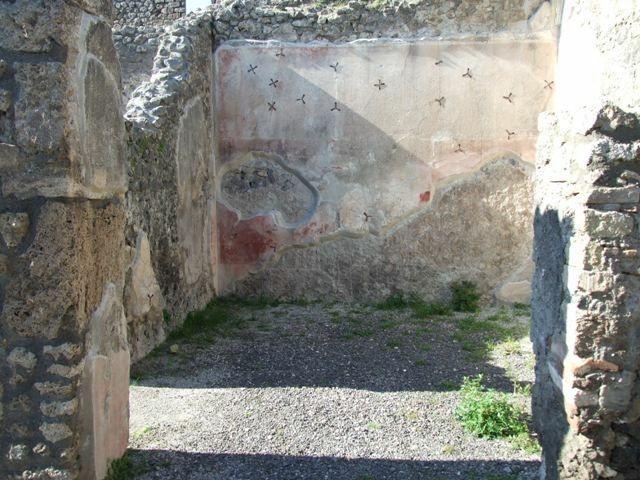 IX.3.2 Pompeii. March 2009. Room on north side of garden area. Looking north from garden area. 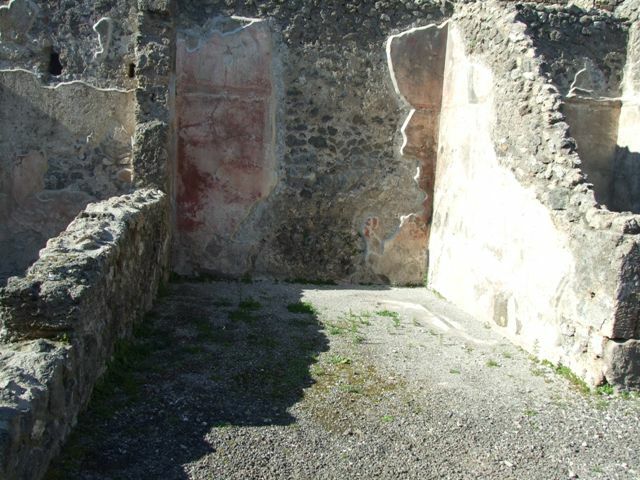 IX.3.2 Pompeii. March 2009. North wall of room on north side of garden area. 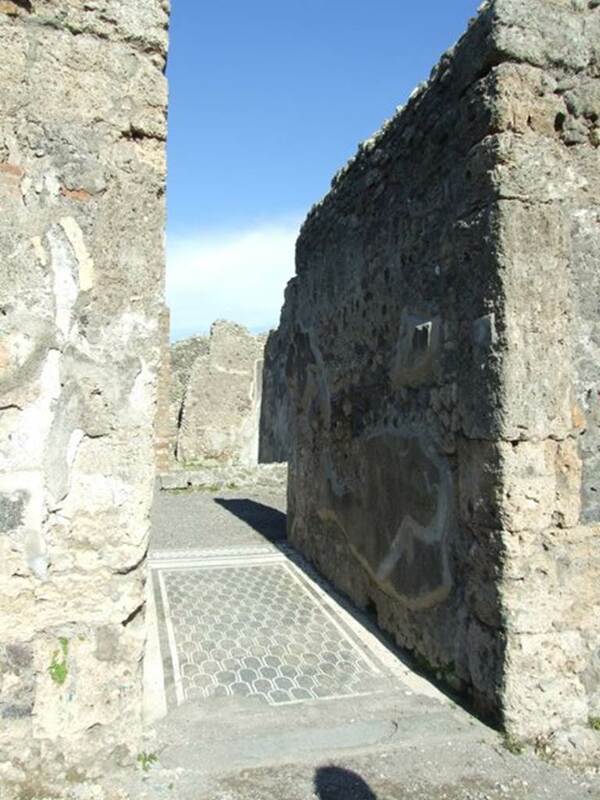 IX.3.2 Pompeii. March 2009. East wall of room on north side of garden area. 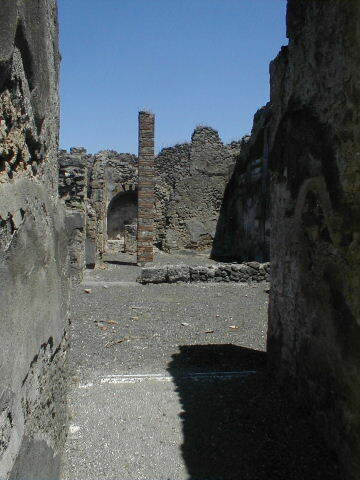 IX.3.2 Pompeii. May 2005. Looking across former atrium to garden area. IX.3.2 Pompeii. 1959. Looking towards south wall of former atrium, on right, and garden area, on left. Photo by Stanley A. Jashemski. 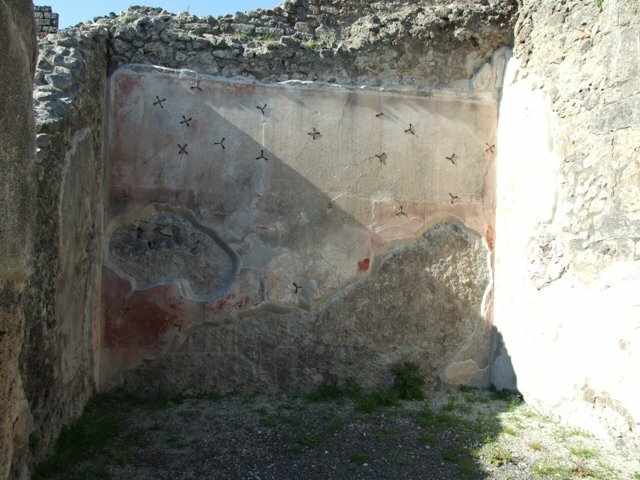 IX.3.2 Pompeii. March 2009. Garden area. Looking east. The pillar originally supported a two-sided portico on the north and west sides.